We are both licensed acupuncturists in the State of North Carolina. Our practice is located in Durham, NC. We received our Master of Acupuncture degrees in 1996 from Northwest Institute of Acupuncture and Oriental Medicine in Seattle, Washington where we were trained extensively in both Chinese and Japanese acupuncture. We spent an additional three years taking intensive workshops and studying closely on a post graduate level with Gail Ptacek, L.Ac., an experienced and highly skilled craniosacral acupuncturist who was trained by Dan Bensky, a well-known osteopath acupuncturist. We have completed over 100 hours of continuing education in craniosacral acupuncture. We are both Diplomates of Acupuncture certified by the National Certification Commission for Acupuncture and Oriental Medicine. We have both taken Upledger Institute’s CranioSacral Therapy I workshop as well as Upledger Institute’s Visceral Manipulation 1A, 1B and II workshops. We have been in practice for twenty two years. In our last year of acupuncture school we were involved in a car accident. I was suffering from the pains of this accident which included some severe heel pain. I received extensive body work including acupuncture, chiropractic and various massage therapies trying to relieve the pains from this accident. Each of these modalities helped somewhat, but I was still plagued by severe heel pain and other lesser, but nagging pains. It was suggested that I go to a craniosacral acupuncturist in Seattle who was a protégé of a famous osteopath acupuncturist. I was amazed to discover that through feeling the craniosacral system this particular acupuncturist could feel the restrictions of my body and found that the accident had caused a right kidney restriction. Through the combination of craniosacral work and acupuncture she was able to completely get rid of my heel pain within three or four sessions. This, of course, sparked John’s and my interest in integrating these two modalities. Since then we have added a third healing modality into our work – hara visceral work – which combines the healing power of Japanese hara diagnosis and treatment with visceral manipulation. Hara visceral work, which integrates the gentle techniques of organ-specific fascial mobilization, is a wonderful complement to the acupuncture fascial energetics work of craniosacral acupuncture. We have taken the Upledger Institute’s Visceral Manipulation IA, IB and II workshops to enhance our palpatory skills in this area. Through the unique combination of these three healing modalities restrictions anywhere in the body from the energetic and fascial layers to the organ level can be detected and removed. Removing these blockages helps the body to move as optimally as possible thereby affecting total health in a positive way — not only physically — but mentally and emotionally as well. We also employ and continue to study evidence-based herbal and nutritional medicine; and we find that by integrating botanicals and nutrients with the other three modalities above we are able to reinforce, support and enhance the process whereby the individual achieves optimal health. John and I have been working closely with Donald Yance since June of 2005. We completed the Level One Professional Clinical Training program from April 26 – May 1, 2010 and the Level Two Advanced Clinical Applications of the Eclectic Triphasic System from September 27 – October 2, 2010 with Donnie in Ashland, Oregon. We love to sing together. We love to cook— and we have a very healthy and nutritionally based approach to food. 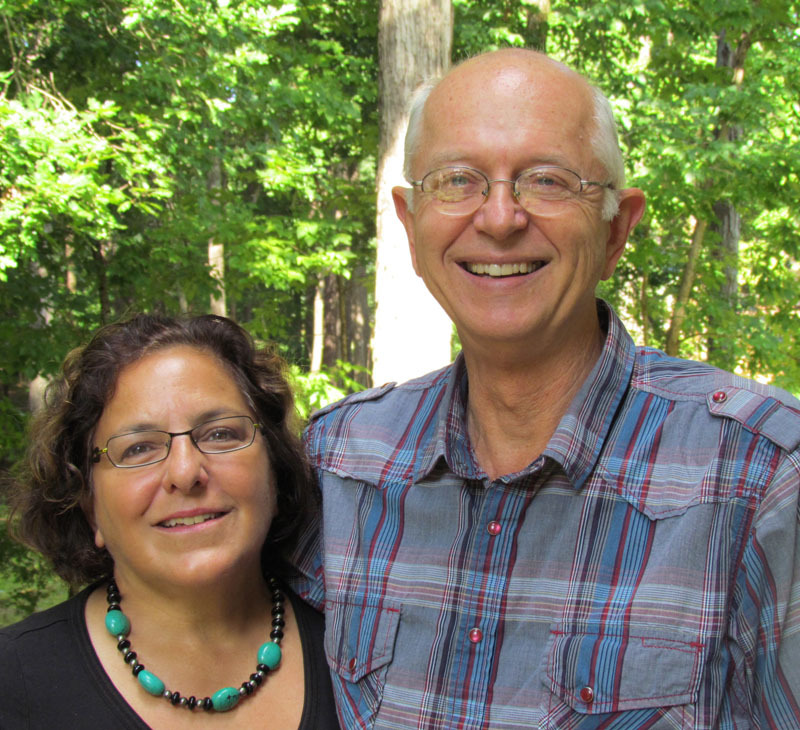 John and I enjoy researching, writing articles and giving talks on health and healing. We both enjoy exercising at the gym, doing yoga and walking. We are both licensed acupuncturists and have been in practice for twenty two years. We are located at 4501 Valley Forge Rd., Durham, NC 27705. You may email us at compassionateacu@gmail.com or phone us at (919) 309-7753 if you have any questions or would like to make an appointment.